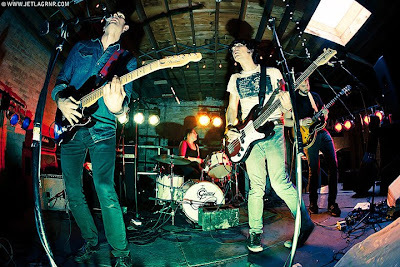 Following the release of their "Miracle" 7 inch, local fuzz-rock outfit Radar Eyes are gearing up for their debut LP on garage/punk label HoZac Records. HoZac just premiered the first single from the record and it's at least seven kinds of awesome, with dirty Stooges guitars and psychedelic vocals hidden inside miles of reverb. Check it out below and keep an eye out for the Best Friends LP release later this year. Yeah finally more people recongising this band, love them.